Full 64-bit multi-core threading support for faster recovery. Support for Microsoft Bit-locker protected drives. Improved support for Virtual Machine recoveries. Improved partition recovery. 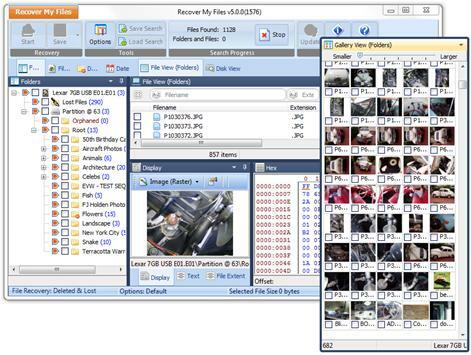 Faster recovery speed and better validation of duplicate or invalid files. 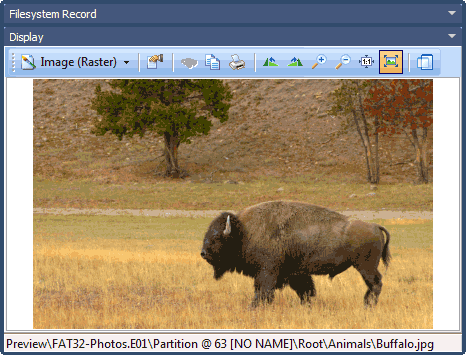 New file type signatures for File carving. Faster saving and loading of search results. Galley view allows the thumbnail viewing of pictures. Use the slider bar to change the size of the thumb-nails. 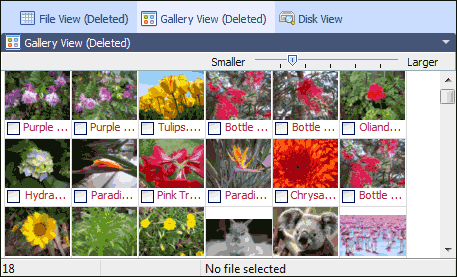 Combine gallery view with the branch plate option (described further below) to thumbnail all pictures on a drive. If you are old enough to remember xtree gold (yes, we are showing our age!) 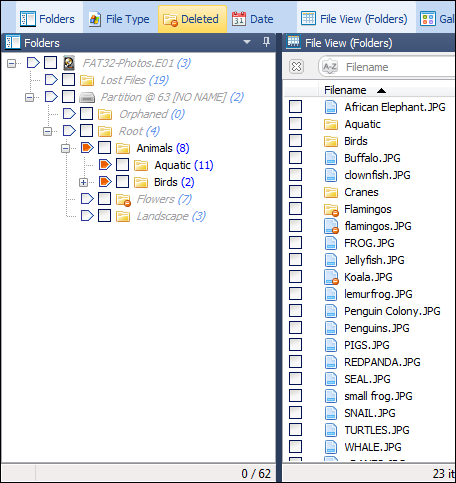 then you will remember a remarkably powerful ability to list all files in a folder and its sub folders. 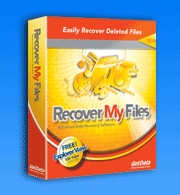 In any data recovery it can be expected that some corrupt files will be returned. Weed them out with the validate option. 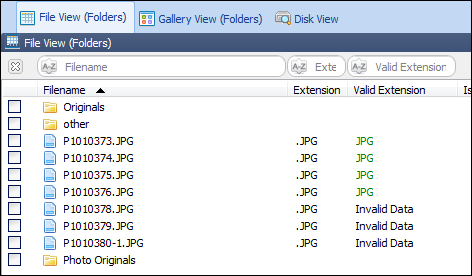 It compares the file extension with the file signature. Don't like the default interface? Customize your own. Preview, zoom and rotate. Listen to music and watch video. 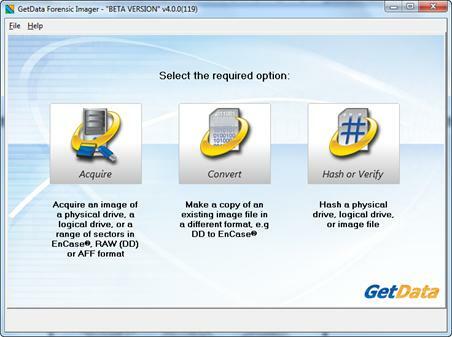 Make a sector copy backup of a disk to a file and then work on the "image file" and not on the original disk.